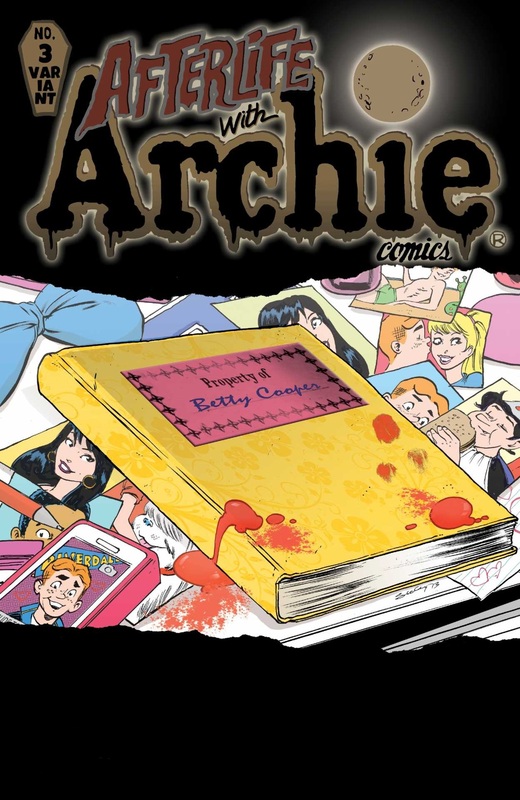 The end is nigh as Afterlife with Archie looms on the horizon. But until the first issue hits on Oct. 9, Comic Vine has just unveiled a new cover to help hold you over. Comic artist extraordinaire Tim Seeley (Revival) has been handling the Afterlife with Archie variant covers, capturing the essence of just how scary this ongoing series will be. You can only get this special collector’s cover in comic shops so find your local comic shop and pre-order it! NEW ONGOING SERIES! “Escape from Riverdale” Part 3: The zombie apocalypse is in full swing and the surviving members of the gang have taken refuge in the Lodge Mansion—believing themselves safe from the infected roaming the streets of Riverdale! But there’s no stopping Archie from sneaking out, risking life and limb to find his missing parents—leaving those sequestered behind vulnerable to an enemy within! The zombie mayhem (and body-count) continues to rise in this breakout series, for TEEN+ readers!